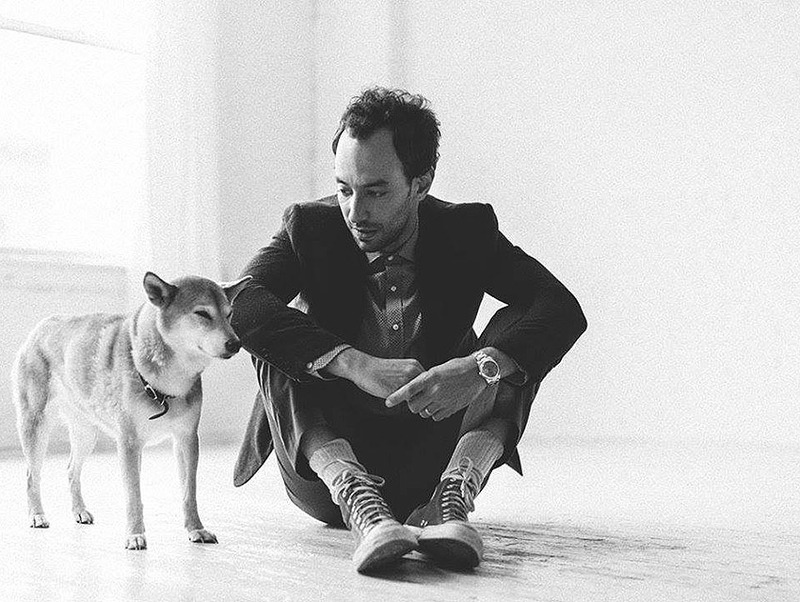 Albert Hammond Jr. is many things: keyboardist and guitarist in the Strokes, sharp-dressed man, fashion designer, solo artist. He’s keen on keeping it all separate, though, approaching each in way that borrows little from his other pursuits. After kicking longtime addictions, Hammond doesn’t feel the need to dig up the past, preferring instead to talk about the music he’s excited to be making—namely his leanest, most confident piece of indie rock yet: Momentary Masters. The album, which borrows its title from Carl Sagan’s famous description of our infinitesimal place in the universe, waxes similarly philosophical at moments, but it never ceases to be spontaneous and colorful—a tricky tightrope for any artist to walk. Whether it’s bright and infectious, like “Born Slippy,” or grittier, like “Caught By My Shadow,” Hammond seems comfortable. We spoke to the Angeleno ahead of his October 14 show at the Teragram Ballroom to talk about the creative freedom he found through marriage and carving out a solo identity apart from the Strokes. It’s been several years since your last solo LP, ¿Cómo Te Llama?. How has life changed since? Well, it’s been the two Strokes records, and my EP [2013’s AHJ]. So much has changed. Life’s constantly changing, and the whole process has been wonderful. I did get married. December 23 will be two years. Congratulations! How has being married changed your life and process as a musician? Creating takes a detachment from reality, and it’s actually helped with that. I can jump to that place easier now because my wife’s a strong woman, and she’s got the foundation covered for me, so I can let go of that. It’s the first relationship in my life that hasn’t affected me musically in a negative way. There’s an expansive, reflective feeling that seems to appear in some of the tracks. What message are you trying to convey with this album? I liked the idea of humans having a shadow—what we show other people, what we hide, and how we learn that from early on. Mix that with being human and emotions and finding balance. I liked trying to find words to describe that in melody. I always try to mix being entertaining and having depth. Everyone will find their own thing from it because we all have different experiences, but we share the same emotions. I like exploring that. For example, in “Born Slippy,” the first line goes: “Sometimes the sun goes behind the clouds / And you’ll forget the warmth that could be found.” And that idea is that nothing is permanent; it’s always changing. We spend a lot of time being emotionally stunted by feeling a certain way and thinking it’s going to be that way forever. It’s an easy thing that can be forgotten by us constantly. I feel like I forget it all the time as well. What other influences do you draw on for Momentary Masters? This is a solo tour, but do fans ask you to play Strokes material live? How do you handle that? I’m trying to create a career, so playing Strokes tracks would be kind of weird, kind of sad. If I was touring after I’d made many records and I was 60, I’d do a three or four song medley of Strokes things to remind people of when I was in this band 40 years ago. That’d be fun and charming and everyone could have that moment where we could all blend in. Right now, it’d be the wrong time. Everything now is new and exciting. It’s fine to play it in the Strokes; it’s exciting for that. We still exist as a band, and that’s another reason it feels a little soon. It still exists in its own form. What else what would like to achieve? I’d like my solo career to stand on its own two legs. The band I’m with is the band I want to make more records with. I’d like to get them money so they can play with me and we can make more music. There’s this idea that making records and touring is a given, but it’s a gift you’re constantly trying to earn the right to have. That’s my mission on this record. I want to earn the right to have this gift, because I feel I can do it.